In a recent fit of insomnia, I downloaded a free Electronic Arts version of Scrabble onto my Android phone. I made my decision based on four things: The name of the app, the name of the developer, its star rating in Google Play, and the user reviews, which offered a warning about annoying ads that I chose to ignore. However, the ads proved to be too much – as was the fact that the app didn’t work in airplane mode, which meant I couldn’t play while flying or otherwise trying to conserve my battery. After a few games, I uninstalled the app and (eventually) fell asleep. Consumers in the market for health and wellness apps find themselves in a similar situation, only with a lot more choices – and hopefully without the insomnia. 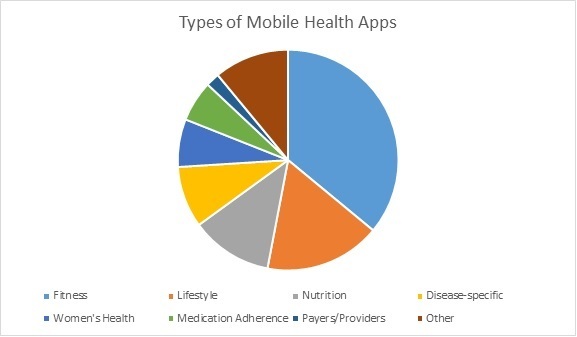 Last summer, IMS Health reported that there were more than 165,000 apps; only a fraction are for clinical use (see chart). For all the apps on the market, remarkably few curation services exist. The first, Happtique, abruptly shut down in late 2013 once a developer discovered glaring security holes in multiple apps that had been approved – confirming the suspicion Chilmark Research had raised several months before about Happtique’s viability as a health app marketplace that was also serving as its own regulator. Those available only to customers or registered users – SocialWellth, Cigna’s GoYou (now part of Health Matters and built in conjunction with SocialWellth), Jiff Health, and HealthTap. Those geared to medical professionals – IMS Health’s AppScript and the iMedicalApps website. Those available to patients at forward-thinking providers such as Ochsner Health System. The rest of us, then, are left with same vague, subjective, and incomplete criteria on which I based my 1 a.m. decision to download Scrabble – app name, developer name, star rating, and user reviews – to decide which app is the best choice to manage their fitness, diet, diabetes, hypertension, fertility, or any other condition substantially more important than a letter tray full of vowels. The latest app curation initiative – Ranked Health, out of the nonprofit Hacking Medicine Institute – takes a different approach, rating apps much the same way that academic medical journals peer-review research. Reviewers study the apps independently, then sort out their discrepancies before posting a public review. Each review is written like an FAQ, describing the app’s intended use and rating its clinical effectiveness, functionality, and usability accordingly. According to Dr. Maulik Majmudar – cardiologist and associate director of the Healthcare Transformation Lab at Massachusetts General Hospital and one of Ranked Health’s two senior editors – Ranked Health is focused at the outset on a systematic, rigorous, and transparent methodology for judging an app’s clinical value, rather than on app ratings themselves. That’s because both consumers as well as physicians want recommendations they can trust. Star ratings may work for restaurant reviews or free games, he said, but they won’t cut it for clinical use cases. The failure of Happtique, the stasis of the National Health Service’s Health Apps Library, and the limited availability of existing health app curation services all present Ranked Health with ado n opportunity to fill a gaping void in the market. Acting independently of Boston’s major healthcare organizations (HCOs), also gives the project a bit more leeway and a bit less risk aversion. 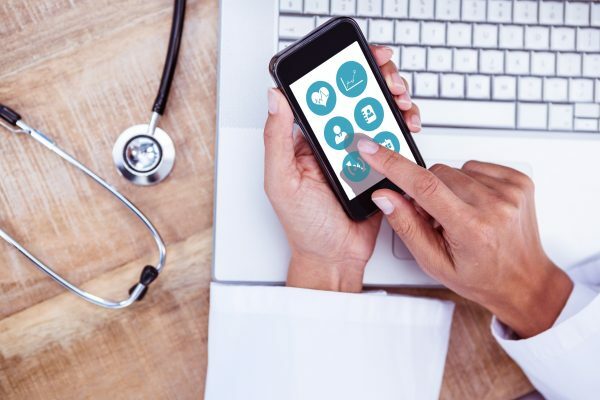 Above all, since the mobile health market has exploded, no one has been watching the watchmen –and it’s high time someone did so in a credible manner. Health apps are not games, and they should not be treated as such. HealthTap published some rankings in a downloadable “top health apps” report and a series of blog posts. However, the report came out in early 2015, and the latest blog post went up in August 2015 – a veritable lifetime in the world of mobile apps. “Intended use” is an important distinction. A food diary app that claims to help users lose weight would be scored differently – and presumably more harshly – than an app that simply claims to be a food diary.